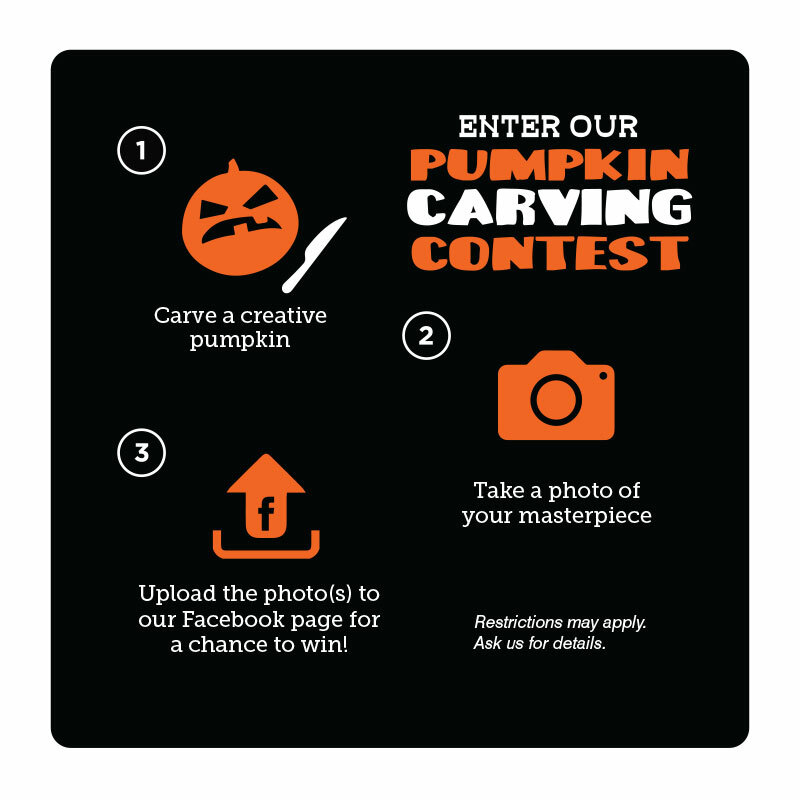 We want to see your pumpkin carving skills – whether your pumpkins are scary, funny, or better yet, wearing glasses! Upload a picture to our Facebook page and the entry with the most likes by noon on Halloween wins a $25 gift certificate to Andy’s Frozen Custard. The staff and doctors at Regional Eyecare Center (as well as their immediate families) are not eligible to win but will be subject to public ridicule for not playing along.